The Rev. 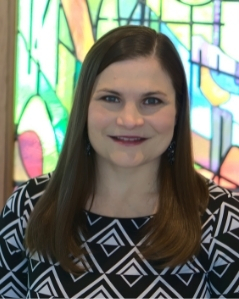 Dr. Kimberly R. Wagner joined the LSTC faculty in July 2018. Four years serving on the pastoral staff of a congregation in Virginia “fueled and informed” Wagner’s PhD work. Her research, teaching and scholarship in homiletics have focused on the role of the church and all of God’s people as proclaimers of the gospel in an ever-changing world. Her dissertation, “From the Depths: Preaching in Wake of Mass Violent Trauma,” rethinks the task of preaching to communities in the immediate aftermath of an incident of mass gun violence. She also believes that preaching requires a multidisciplinary perspective and did work in a variety of core areas during her PhD studies, allowing her a broad range of conversation partners in her scholarship and teaching. Wagner will be continuning her work in preaching and trauma at LSTC, exploring the topic in both her scholarship and in the classroom. While Wagner is committed research and scholarship in the practice of preaching, she has a deep passion for teaching. She holds an undergraduate degree in education, taught junior high and high school, and was a teaching assistant and instructor at the Candler School of Theology at Emory University. “Challenge and Invitation: Preaching Lent Today,” Journal for Preachers 38, 2 (Lent 2015): 16-22.